Global financialization of housing has left tenants unprotected: as the UN Special Rapporteur on Adequate Housing, Leilani Farha, put it, “while governments have abandoned tenants, they have not abandoned investors. Residential real estate is the world’s biggest business: 163 trillion dollars – almost three times the annual world GDP”. In Europe, housing speculation has caused skyrocketing costs: rent already is European’s households’ main expenditure, and 82 million citizens are overburdened by housing costs”. 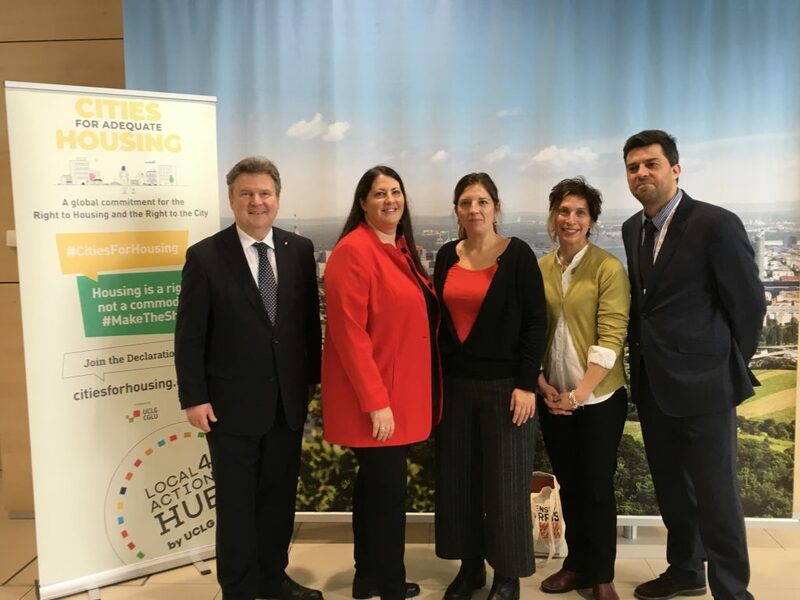 The Conference was the occasion to kick off a campaign led by European cities to transform the Cities for Housing movement into regional motion, and to put issue of housing high on the agenda for the upcoming elections to the European Parliament. As Laia Ortiz, Deputy Mayor for Social Rights of Barcelona affirmed, “It is now time to translate the global movement for the right to housing intoEuropean strategy. We count on Vienna, as a leading city in the fight for the right to housing, and with many other cities that are demanding to make the shift to housing as a human right”.